The needlepoint design area measures 13.5" x 13.5". 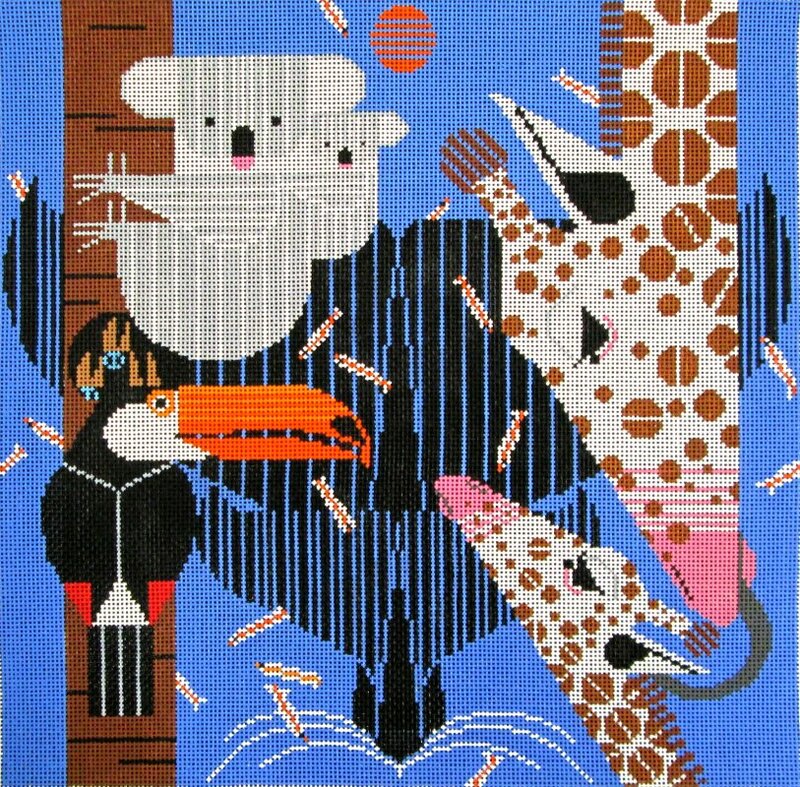 This Charley Harper needlepoint is sold canvas-only or as a kit. We use DMC cotton floss or Planet Earth wool and silks. If you wish to purchase stretcher bars we recommend two pair of 17". This Bluejay Patrol Charley Harper needlepoint canvas usually ships in a few days. You can always check availability before you order.